Get your children reading for pleasure today. When reading for pleasure, children need to read books at a much simpler level than they would on the reading scheme at school, to ensure that they can read alone and not necessarily need adult help.They will be much more likely to enjoy a book that is simple to read than one that they struggle their way through.This lays the groundwork for them to become keen readers in the future.As they move on through the primary school years parents can really help their children by finding lots of books for their children to read for pleasure. 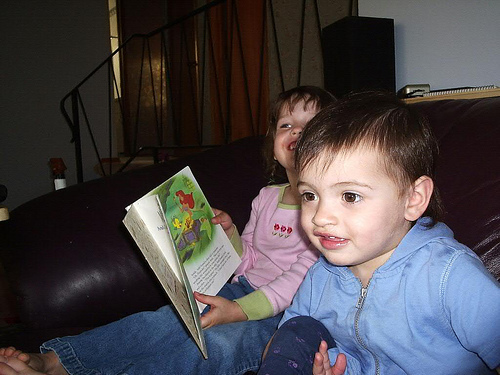 The children that read for pleasure usually find it easier to do well at school generally. Continuing to read stories to your child helps as well. We have now launched our programme to get reluctant readers reading. If you have a child (aged between 7 and 11) who does not enjoy reading for pleasure, we can help you to set them on the path to reading. If you’d like to see what one of the Mums who has tried this scheme has to say you can read all about her experiences at Sarah’s blog. You are currently browsing the Childrensbooklady's Blog blog archives for September, 2012.